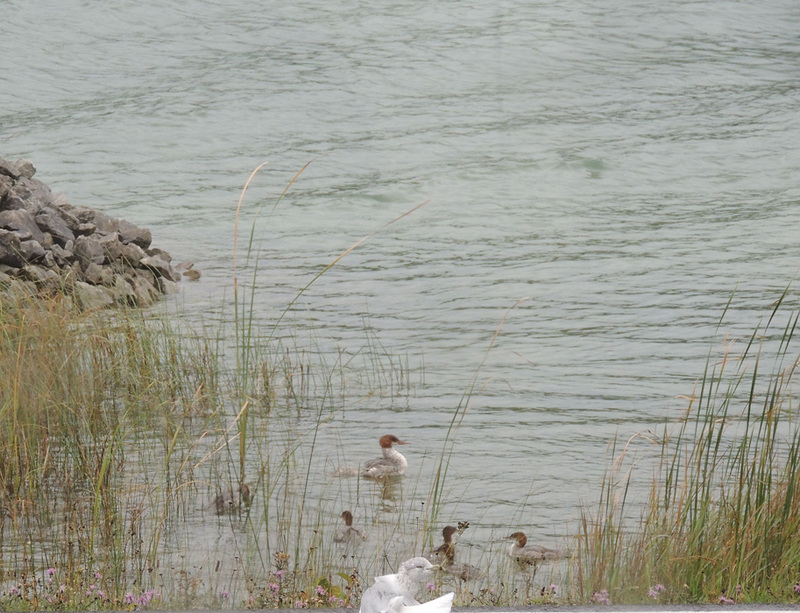 Sept 25, 2014 – The morning coffee scene – The merganser story – Hey, what makes a good photograph? I looked out the window and what did I see? 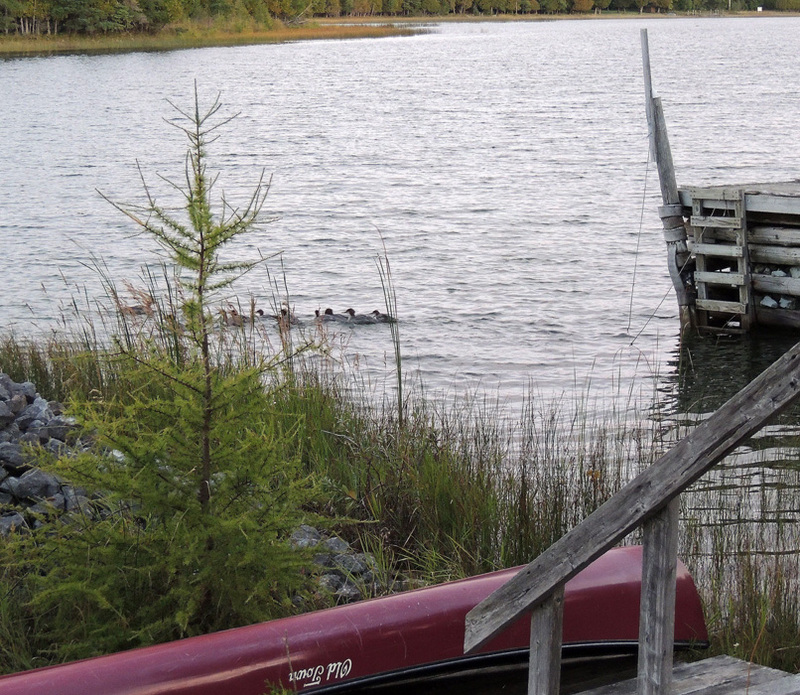 Deer, the bay water, the dock, bell — well, yes saw all of theta – but that is not the story I wanted to tell you. 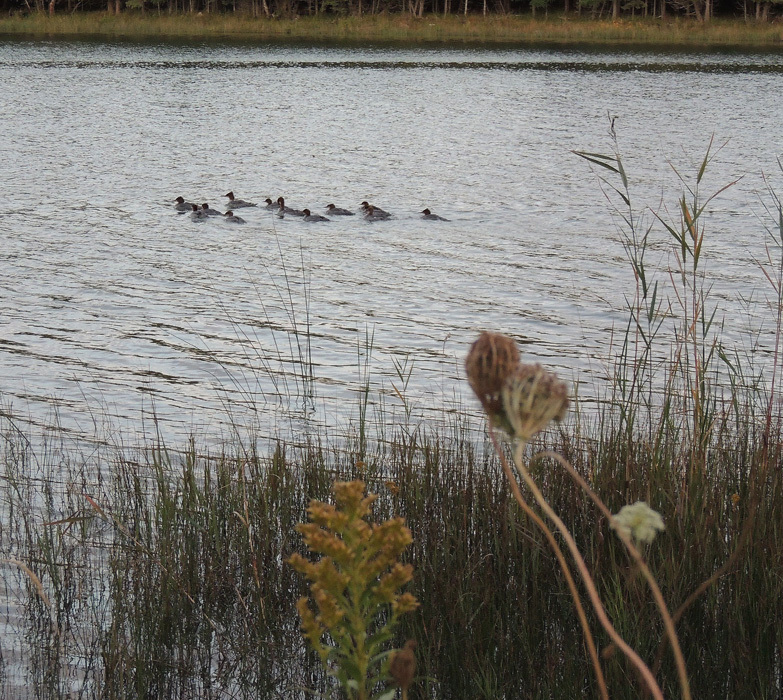 I wanted to tell you of “V” for victory, lets eat breakfast at these minnow traps, bunch up, head for the other shore. My friend baits the minnows to get them to swim into her traps – but the mergansers opened their mouths under water and created a new trap – That is why “V” for victory – Mergansers win – I decided to sneak down to the water and record this on digits – just so I could show you all what happens to the best laid plans of human fishermen – No “V” – Fisherwomen looses. 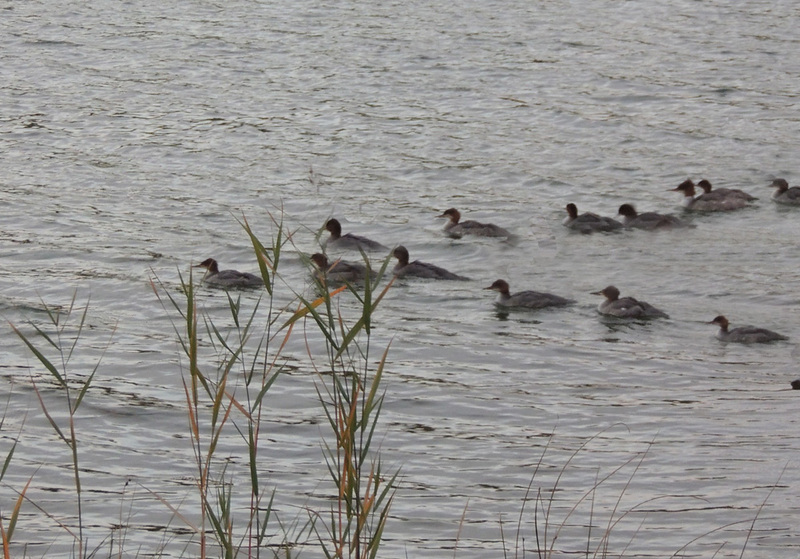 But say the mergansers to each other – bunch up – here comes that crazy human with the black box – We do not know what it is but it may shoots us or eat us???? Took this garden photo as I walked. 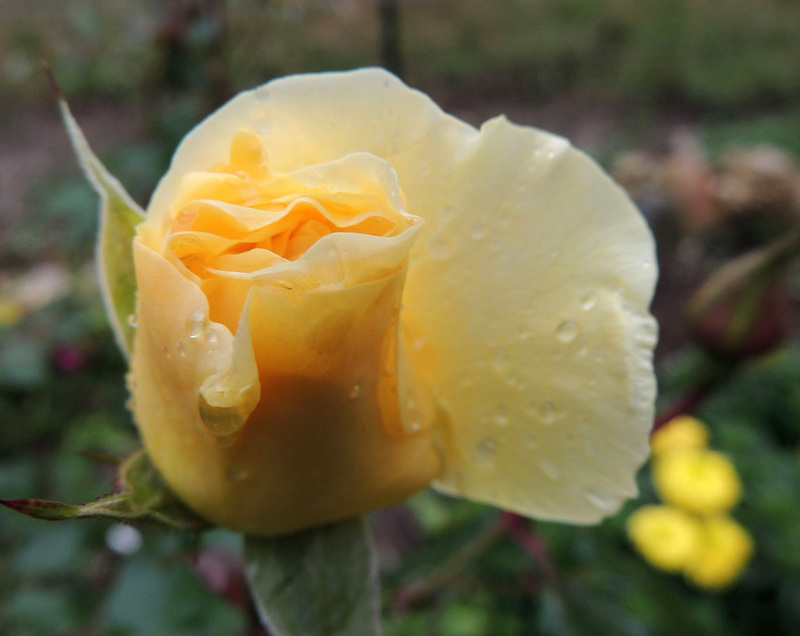 I will send to you a digital rose – why? Because you took the time to view my blog – Thanks. More are on the way. 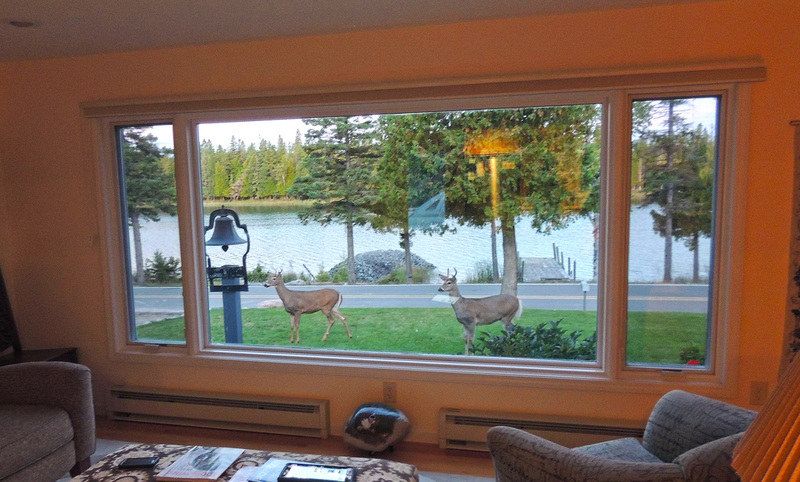 But I must go now and work on the garden I am preparing for the Deer. Well just preparing the soil for next springs plantings.